Shoplifting, also known as retail theft, is a common crime in Seattle, and the rest of America. At first glance one might think that this is a relatively minor infraction, but shoplifting is actually a very serious crime with severe penalties that can adversely affect your life. You should contact one of our Seattle shoplifting lawyers if you or someone you care about has been charged with retail theft. With over 30 years of combined legal experience in Seattle, we have the tools to investigate your shoplifting case and seek ways that we can minimize the charges and penalties. The severities of the penalties you face are directly related to the monetary value of the merchandise that was stolen. 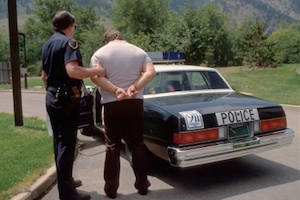 In Seattle, first degree theft is a Class B felony and is charged if the value of the shoplifted items is over $5,000. The punishments include up to 10 years in prison, up to $20,000 in fines, and possible civil damages awarded to the owner of the company from which the shoplifting occurred. Second degree theft in Seattle is the charge for shoplifting items valued between $750 and $5,000. This is a class C felony with penalties in Seattle that include fines of up to $10,000 and five years in prison. Third degree theft is a gross misdemeanor charged to people suspected of shoplifting up to $750 worth of merchandise in Seattle. A conviction for this variety of shoplifting in Seattle could result in up to a year in jail and $5,000 in fines. Also, a Seattle shoplifting conviction will result in a criminal record that will stay with you for the rest of your life. This means that shoplifting in Seattle could adversely affect your ability to get a good job or even rent an apartment. Our team of Seattle shoplifting attorneys can help, but it’s paramount that you contact them as soon as possible so that they can get started on your case. Why should you have a professional Seattle lawyer protecting your interests? Because Seattle prosecutors are merciless when it comes to shoplifting charges, and will often seek to increase their severity regardless of the circumstances. Seattle attorney Jason S. Newcombe can counter these tactics and will use every legal tool at his disposal to prevent a shoplifting conviction or mitigate the damage. Our team of Seattle shoplifting attorneys has over 30 years of combined experience handling cases involving retail theft. We’ve seen firsthand how embarrassing and emotionally draining a Seattle shoplifting charge can be. Don’t take any chances - our Seattle shoplifting lawyers will act as your personal advocate with the court, and will maximize your chances of a successful end result.